Building distinctive custom homes in Southwest Florida for over 30 years, Keevan Homes is a most respected name in the residential construction industry. Dramatic designs, quality features, innovative floor plans and a variety of Florida lifestyle choices are signature qualities of a custom Keevan home. 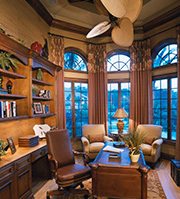 Patrick Keevan, a second generation builder and licensed general contractor, founded Keevan Homes in the late 1980s. He launched his building career initially working with other family members in the exclusive private island community of Shark Key, located in the Florida Keys. Seeking to establish their own brand and identity, Keevan Homes relocated in November 1992 to Naples, Florida where they have built luxury homes in fine communities such as Shadow Wood at the Brooks, Shadow Wood Preserve, Verandah, Pelican Marsh, Port Royal, Aqualane Shores, The Strand, Wilshire Lakes, Kensington, The Vineyards and Villages of Monterey. 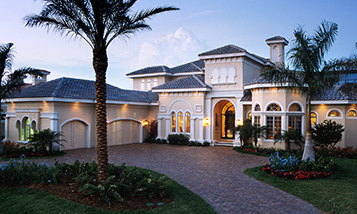 As a luxury custom-home builder in Southwest Florida, Keevan Homes has earned a solid reputation throughout the community based on honesty, trust and dependability. The meticulous attention to the myriad of details involved in the building of each home is the basis of Keevan Homes’ formula for success. President, Patrick Keevan, devotes personal attention to each customer and stays closely involved throughout the entire process. He truly enjoys a “hands-on” approach to building and takes pride not only in the design and building process, but also in fostering and nurturing long lasting relationships with his clients. Developing enduring strategic alliances with carefully selected vendors and subcontractors ensures their clients receive the superior workmanship and products customary in every Keevan home. The provision of a complimentary extended warranty, yields fully satisfied owners confident that their builder stands beside them as they make their house a home. This long-term commitment to customer satisfaction is what separates Keevan Homes from other luxury builders.